In 164 BCE, Judah Maccabee led his Maccabean army to liberate the land of Israel and reclaim the Temple Mount in Jerusalem. But the Maccabees did not have enough oil to light the menorahs to rededicate the Temple. 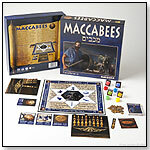 Now players must lead a band of Maccabees and acquire enough oil to light the new eight-stemmed menorah called a Chanukiah. But beware, there are still remnants of the Seleucid Empire’s army roaming the lands trying to thwart these efforts. 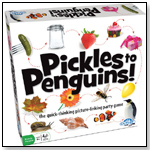 This board game is made in the USA and turns the basic game of dreidel into an adventure. 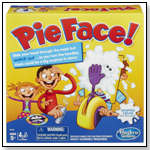 The entire game is in English and Hebrew, so it serves as a tool for learning Hebrew. Launch date: September 2009.